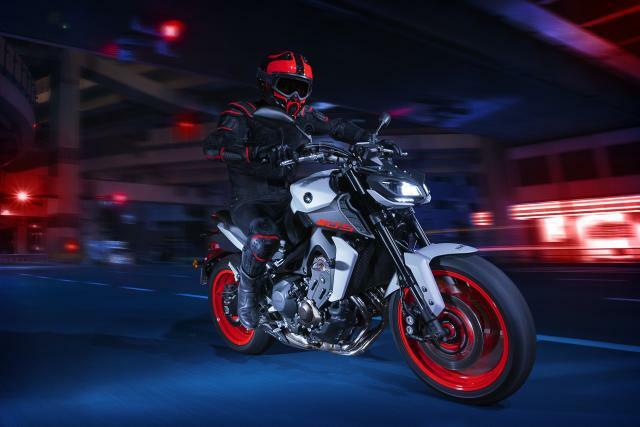 Yamaha’s uber successful MT series is getting a new colour scheme for 2019. Since its launch, the Japanese firm has shipped 175,000 of the MT-series bikes Europe alone which is absolutely crazy when you think about it. The MT-07 and MT-09 consistently find themselves atop sales charts in their respective categories, and it’s little wonder when you look at what you’re getting for your money. The new ‘Ice Fluo’ colour scheme features a grey body with a black engine and red wheels… another bold colour scheme alongside the fluro yellow/grey that we’re all used to seeing. It’s available across the entire range including the SP models, too.